The world would be introduced to one of the greatest movies of all time in 1939 that still stands as an incredible film each and every time it is on television. The Wizard of Oz still amazes me. There has been a sequel, Return to Oz, one that many would like to forget and a few adaptations of the original, The Wiz and The Muppets' Wizard of Oz, but they can never touch the 1939 version. 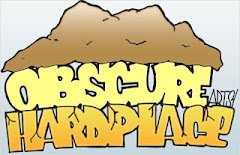 Next March 8, 2013 will introduce a new film to L. Frank Baum's classic story and this time it will actually be a prequel. 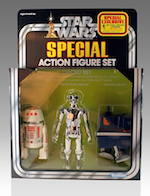 It actually is hard to believe that this would be the first time in over 70 years that a prequel would be attempted. 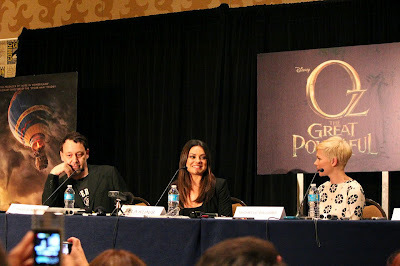 Last weekend, we attended the San Diego Comic Con and were fortunate to attend Disney's Oz The Great and Powerful press room, which would talk about this amazing new film. We would get the opportunity to see Sam Raimi (director), Mila Kunis (Theodora), Michelle Williams (Glinda), and Joe Roth (producer). We would immediately jump into a Q&A and the first questions would involve asking how it felt to be part of such a classic film such as The Wizard of Oz. 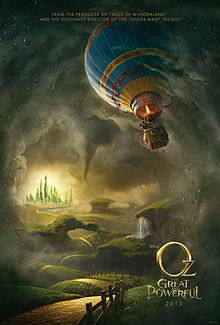 Sam Raimi would mention that he wanted to describe the beauty and fantastic world of Oz, how it was to soar with Glinda in her bubbles in the amazing environments, and to bring Baum's great world to life. He also gives us the background of the story that it is about the Wizard (James Franco) and how he comes into Oz. Sam Raimi would let us know that Bruce Campbell will have a small role in the picture!! Mila Kunis would be asked how she felt about being Theodora and she said it was a great honor and it would be difficult to replicate Margaret Hamilton's role in Wizard of Oz. She actually went on to say that she would not even attempt to do so because it is such an iconic role. Michelle Williams would also mention what an honor it would be part of such a classic story. This is her biggest film to be part of and she was thrilled and nervous at the same time. She would go on to say that she felt that it would be easy to get into the role as Glinda because she felt very welcomed. A question was asked why the big production companies tend to make more sequels and prequels. Joe Roth helped to go on to say that sequels are usually easier to sell, especially a film like this. 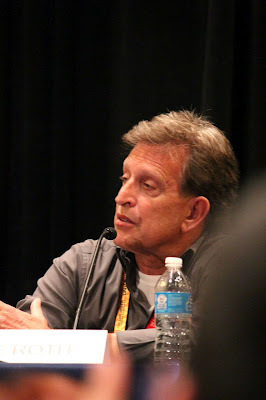 Joe Roth would help develop the screenplay and they took Baum's books as a road map and stayed with the thesis of who the man was behind the curtain (Wizard). 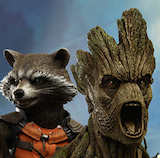 The great thing about this film that we would learn is that there was not a lot of green screen used for effects, but many of the scenes and props were actually built sets. Joe Roth would mention that there were 7 stages built that were double the size of a normal Hollywood set. 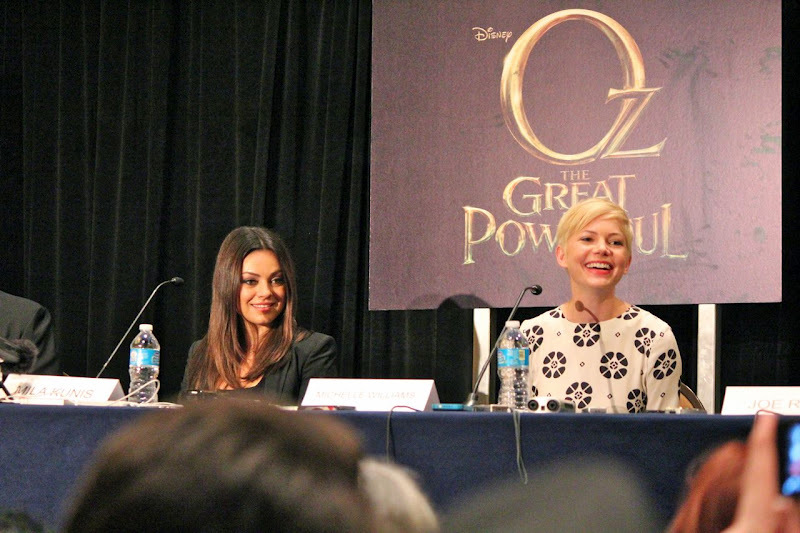 We enjoyed attending Disney's Oz The Great and Powerful press room. We wanted to hear first hand what it would be like for Sam Raimi, Mila Kunis, Michelle Williams, and Joe Roth to be part of something so big. The Wizard of Oz will remain as one of the greatest and we look forward to seeing Raimi's version and interpretation of Baum's amazing world of Oz.